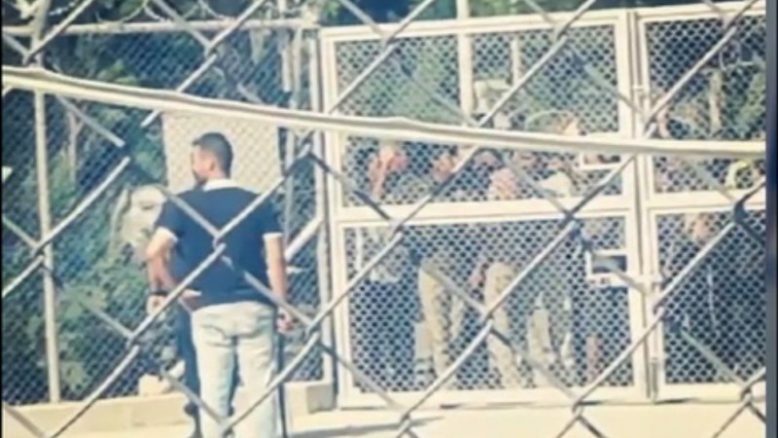 On the 8th of July, Greek police tried to arrest five Syrian men, residing in one of the Hotspots on Leros, after accusing them of vandalizing the camp and public property. But the Syrian refugees collectively refused to turn in anyone to the police. The refugees were absolutely sure that the people who had damaged the property were not five accused. Consequently, the police threatened Syrian families detained at the Hotspot, announcing that if they do not turn in the five men, commandos from the Greek Army would break into the hotspot and take them by force. Before entering the camp, police evacuated all nationalities from the Hotspot, except Syrians. The police also kept Syrian women and children inside the Hotspot as an attempt to pressure the families to denounce their sons. The chaos we are witnessing at Leros and other Hotspots in Greece are the direct result of the continuous militarization of the EU borders, which is being implemented instead of providing people fleeing from war with safe routes. All the families are asking for is to be treated as humans and not as criminals and to have their basic needs respected, including non-expired food, clean water and medical attention.